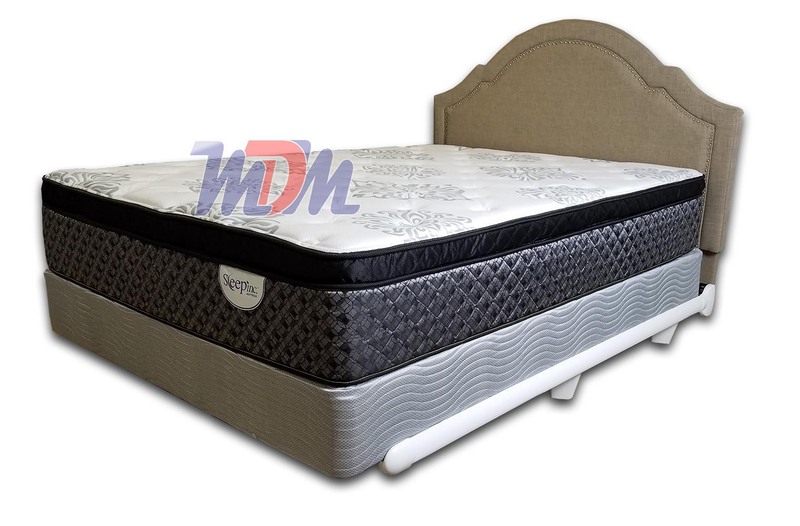 Michigan Discount Mattress has received much of its new 2019 line and the Incite Euro is already standing out as a great value for your hard-earned dollar. 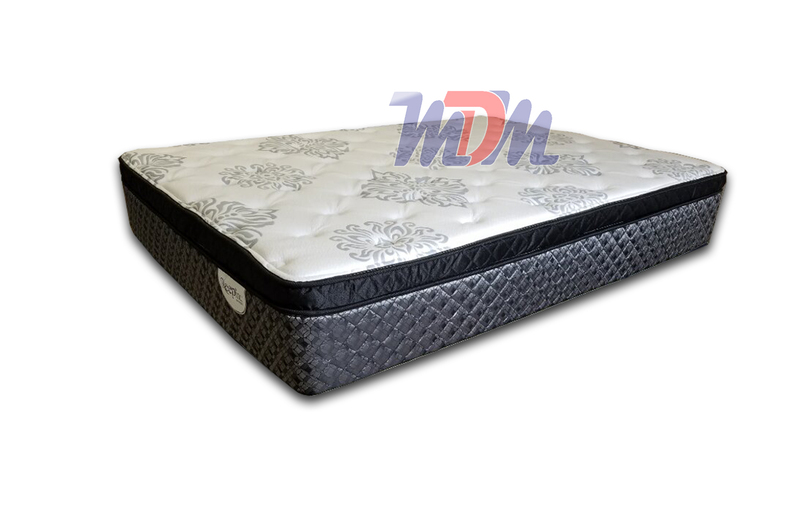 This mattress has a loft top with a body contouring, durable coil system. It also has a strong side edge and is composed of CertiPUR-US materials. Lying on this bed immediately gives you simultaneous feelings of softness and support. As with all Corsicana mattresses, the Incite is made in the United States, of American materials. 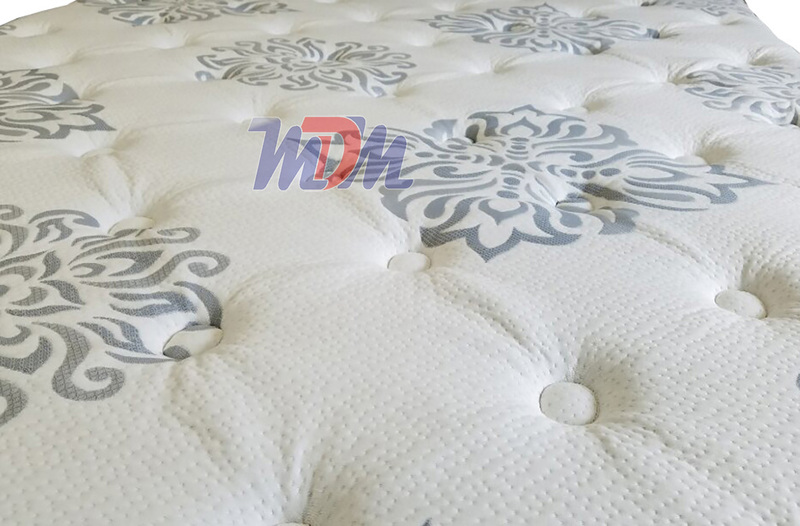 This mattress was introduced for 2019 as an in-between model; between a below-middle price point and a middle price point. Once I tried this one, I was sure that I was trying a mattress that was lesser than the latter. Well, the proof is in the feel and this is definitely a great-feeling mattress! The foam encasement (outer wall - all but eliminates all motion transfer) must have gotten denser from year-to-year; this is a very supportive unit. 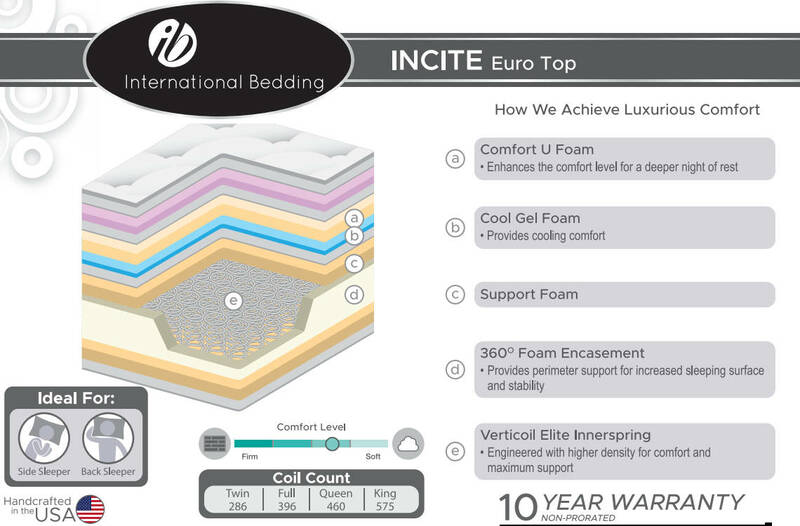 The euro top is just luxurious enough and its vertiCoil spring unit is an improvement on a traditional Bonnell coil. This model can be made in both standard and custom sizes. It's a very nice addition to Michigan Discount Mattress's lineup because it definitely fits in with their 'value first' way of supplying the public.